6900301 SV05 YANMAR SV05 Excavator SV series. Spare Parts Catalog. Service (workshop) Manual. Operator's Instruction Manual. 6900302 SV05-A YANMAR SV05-A Excavator SV series. Spare Parts Catalog. Service (workshop) Manual. Operator's Instruction Manual. 6900303 SV08 YANMAR SV08 Excavator SV series. Spare Parts Catalog. Service (workshop) Manual. Operator's Instruction Manual. 6900304 SV08-1 YANMAR SV08-1 Excavator SV series. Spare Parts Catalog. Service (workshop) Manual. Operator's Instruction Manual. 6900305 SV08-1A YANMAR SV08-1A Excavator SV series. Spare Parts Catalog. Service (workshop) Manual. Operator's Instruction Manual. 6900306 SV15 YANMAR SV15 Excavator SV series. Spare Parts Catalog. Service (workshop) Manual. Operator's Instruction Manual. 6900307 SV17 YANMAR SV17 Excavator SV series. Spare Parts Catalog. Service (workshop) Manual. Operator's Instruction Manual. 6900308 SV17E YANMAR SV17E Excavator SV series. Spare Parts Catalog. Service (workshop) Manual. Operator's Instruction Manual. 6900309 SV17EX YANMAR SV17EX Excavator SV series. Spare Parts Catalog. Service (workshop) Manual. Operator's Instruction Manual. 6900310 SV17EX-2 YANMAR SV17EX-2 Excavator SV series. Spare Parts Catalog. Service (workshop) Manual. Operator's Instruction Manual. 6900311 SV100 YANMAR SV100 Excavator SV series. Spare Parts Catalog. Service (workshop) Manual. Operator's Instruction Manual. 6900312 SV100-1 YANMAR SV100-1 Excavator SV series. Spare Parts Catalog. Service (workshop) Manual. Operator's Instruction Manual. 6900314 VIO10 YANMAR VIO10 Excavator VIO series. Spare Parts Catalog. Service (workshop) Manual. Operator's Instruction Manual. 6900315 VIO10-2 YANMAR VIO10-2 Excavator VIO series. Spare Parts Catalog. Service (workshop) Manual. Operator's Instruction Manual. 6900316 VIO10-2A YANMAR VIO10-2A Excavator VIO series. Spare Parts Catalog. Service (workshop) Manual. Operator's Instruction Manual. 6900317 VIO15 YANMAR VIO15 Excavator VIO series. Spare Parts Catalog. Service (workshop) Manual. Operator's Instruction Manual. 6900318 VIO15 PR YANMAR VIO15 PR Excavator VIO series. Spare Parts Catalog. Service (workshop) Manual. Operator's Instruction Manual. 6900319 VIO15-1 YANMAR VIO15-1 Excavator VIO series. Spare Parts Catalog. Service (workshop) Manual. Operator's Instruction Manual. 6900320 VIO15-1EX YANMAR VIO15-1EX Excavator VIO series. Spare Parts Catalog. Service (workshop) Manual. Operator's Instruction Manual. 6900321 VIO15-2 YANMAR VIO15-2 Excavator VIO series. Spare Parts Catalog. Service (workshop) Manual. Operator's Instruction Manual. 6900322 VIO15-2A YANMAR VIO15-2A Excavator VIO series. Spare Parts Catalog. Service (workshop) Manual. Operator's Instruction Manual. 6900323 VIO17 YANMAR VIO17 Excavator VIO series. Spare Parts Catalog. Service (workshop) Manual. Operator's Instruction Manual. 6900324 VIO20 YANMAR VIO20 Excavator VIO series. Spare Parts Catalog. Service (workshop) Manual. Operator's Instruction Manual. 6900325 VIO20-1 YANMAR VIO20-1 Excavator VIO series. Spare Parts Catalog. Service (workshop) Manual. Operator's Instruction Manual. 6900326 VIO20-2 YANMAR VIO20-2 Excavator VIO series. Spare Parts Catalog. Service (workshop) Manual. Operator's Instruction Manual. 6900327 VIO20-3 YANMAR VIO20-3 Excavator VIO series. Spare Parts Catalog. Service (workshop) Manual. Operator's Instruction Manual. 6900328 VIO20-3 (EP) YANMAR VIO20-3 (EP) Excavator VIO series. Spare Parts Catalog. Service (workshop) Manual. Operator's Instruction Manual. 6900329 VIO20-3 (US) YANMAR VIO20-3 (US) Excavator VIO series. Spare Parts Catalog. Service (workshop) Manual. Operator's Instruction Manual. 6900330 VIO25 YANMAR VIO25 Excavator VIO series. Spare Parts Catalog. Service (workshop) Manual. Operator's Instruction Manual. 6900331 VIO25-3 YANMAR VIO25-3 Excavator VIO series. Spare Parts Catalog. Service (workshop) Manual. Operator's Instruction Manual. 6900332 VIO27-2 YANMAR VIO27-2 Excavator VIO series. Spare Parts Catalog. Service (workshop) Manual. Operator's Instruction Manual. 6900333 VIO27-3 YANMAR VIO27-3 Excavator VIO series. Spare Parts Catalog. Service (workshop) Manual. Operator's Instruction Manual. 6900334 VIO30 YANMAR VIO30 Excavator VIO series. Spare Parts Catalog. Service (workshop) Manual. Operator's Instruction Manual. 6900335 VIO30-1 YANMAR VIO30-1 Excavator VIO series. Spare Parts Catalog. Service (workshop) Manual. Operator's Instruction Manual. 6900336 VIO30-2 YANMAR VIO30-2 Excavator VIO series. Spare Parts Catalog. Service (workshop) Manual. Operator's Instruction Manual. 6900337 VIO30-3 YANMAR VIO30-3 Excavator VIO series. Spare Parts Catalog. Service (workshop) Manual. Operator's Instruction Manual. 6900338 VIO35-2 YANMAR VIO35-2 Excavator VIO series. Spare Parts Catalog. Service (workshop) Manual. Operator's Instruction Manual. 6900339 VIO35-3 YANMAR VIO35-3 Excavator VIO series. Spare Parts Catalog. Service (workshop) Manual. Operator's Instruction Manual. 6900340 VIO35-3A YANMAR VIO35-3A Excavator VIO series. Spare Parts Catalog. Service (workshop) Manual. Operator's Instruction Manual. 6900341 VIO35-5 YANMAR VIO35-5 Excavator VIO series. Spare Parts Catalog. Service (workshop) Manual. Operator's Instruction Manual. 6900342 VIO40 YANMAR VIO40 Excavator VIO series. Spare Parts Catalog. Service (workshop) Manual. Operator's Instruction Manual. 6900343 VIO40 TW YANMAR VIO40 TW Excavator VIO series. Spare Parts Catalog. Service (workshop) Manual. Operator's Instruction Manual. 6900344 VIO40-1 YANMAR VIO40-1 Excavator VIO series. Spare Parts Catalog. Service (workshop) Manual. Operator's Instruction Manual. 6900345 VIO40-2 YANMAR VIO40-2 Excavator VIO series. Spare Parts Catalog. Service (workshop) Manual. Operator's Instruction Manual. 6900346 VIO40-2A YANMAR VIO40-2A Excavator VIO series. Spare Parts Catalog. Service (workshop) Manual. Operator's Instruction Manual. 6900347 VIO40-3 YANMAR VIO40-3 Excavator VIO series. Spare Parts Catalog. Service (workshop) Manual. Operator's Instruction Manual. 6900348 VIO45 YANMAR VIO45 Excavator VIO series. Spare Parts Catalog. Service (workshop) Manual. Operator's Instruction Manual. 6900349 VIO45-5 YANMAR VIO45-5 Excavator VIO series. Spare Parts Catalog. Service (workshop) Manual. Operator's Instruction Manual. 6900350 VIO45-5B YANMAR VIO45-5B Excavator VIO series. Spare Parts Catalog. Service (workshop) Manual. Operator's Instruction Manual. 6900351 VIO50 YANMAR VIO50 Excavator VIO series. Spare Parts Catalog. Service (workshop) Manual. Operator's Instruction Manual. 6900352 VIO50-1 YANMAR VIO50-1 Excavator VIO series. Spare Parts Catalog. Service (workshop) Manual. Operator's Instruction Manual. 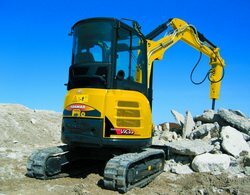 6900353 VIO50-2 YANMAR VIO50-2 Excavator VIO series. Spare Parts Catalog. Service (workshop) Manual. Operator's Instruction Manual. 6900354 VIO50-2A YANMAR VIO50-2A Excavator VIO series. Spare Parts Catalog. Service (workshop) Manual. Operator's Instruction Manual. 6900355 VIO50-2C YANMAR VIO50-2C Excavator VIO series. Spare Parts Catalog. Service (workshop) Manual. Operator's Instruction Manual. 6900356 VIO50-2P YANMAR VIO50-2P Excavator VIO series. Spare Parts Catalog. Service (workshop) Manual. Operator's Instruction Manual. 6900357 VIO50-3 YANMAR VIO50-3 Excavator VIO series. Spare Parts Catalog. Service (workshop) Manual. Operator's Instruction Manual. 6900358 VIO50A YANMAR VIO50A Excavator VIO series. Spare Parts Catalog. Service (workshop) Manual. Operator's Instruction Manual. 6900359 VIO50U YANMAR VIO50U Excavator VIO series. Spare Parts Catalog. Service (workshop) Manual. Operator's Instruction Manual. 6900360 VIO55 YANMAR VIO55 Excavator VIO series. Spare Parts Catalog. Service (workshop) Manual. Operator's Instruction Manual. 6900361 VIO55-2A YANMAR VIO55-2A Excavator VIO series. Spare Parts Catalog. Service (workshop) Manual. Operator's Instruction Manual. 6900362 VIO55-3A YANMAR VIO55-3A Excavator VIO series. Spare Parts Catalog. Service (workshop) Manual. Operator's Instruction Manual. 6900363 VIO55-5 YANMAR VIO55-5 Excavator VIO series. Spare Parts Catalog. Service (workshop) Manual. Operator's Instruction Manual. 6900364 VIO55-5B YANMAR VIO55-5B Excavator VIO series. Spare Parts Catalog. Service (workshop) Manual. Operator's Instruction Manual. 6900365 VIO57 YANMAR VIO57 Excavator VIO series. Spare Parts Catalog. Service (workshop) Manual. Operator's Instruction Manual. 6900366 VIO57U YANMAR VIO57U Excavator VIO series. Spare Parts Catalog. Service (workshop) Manual. Operator's Instruction Manual. 6900367 VIO70 YANMAR VIO70 Excavator VIO series. Spare Parts Catalog. Service (workshop) Manual. Operator's Instruction Manual. 6900368 VIO70-2 YANMAR VIO70-2 Excavator VIO series. Spare Parts Catalog. Service (workshop) Manual. Operator's Instruction Manual. 6900369 VIO75 YANMAR VIO75 Excavator VIO series. Spare Parts Catalog. Service (workshop) Manual. Operator's Instruction Manual. 6900370 VIO75-A YANMAR VIO75-A Excavator VIO series. Spare Parts Catalog. Service (workshop) Manual. Operator's Instruction Manual. 6900371 VIO75-B YANMAR VIO75-B Excavator VIO series. Spare Parts Catalog. Service (workshop) Manual. Operator's Instruction Manual. 6900372 VIO80 YANMAR VIO80 Excavator VIO series. Spare Parts Catalog. Service (workshop) Manual. Operator's Instruction Manual.